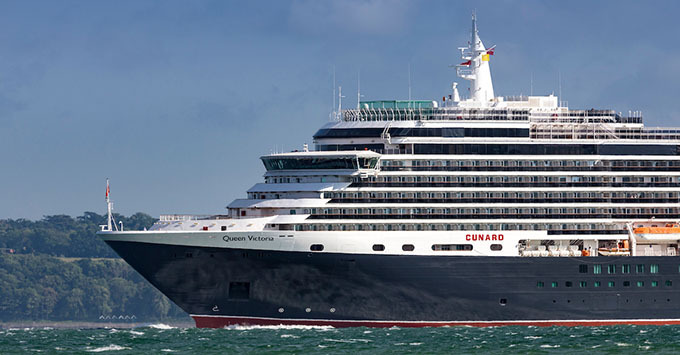 (3:10 p.m. EDT) -- Beginning this fall, passengers travelling with Cunard Line will be able to create customized cruise and tour packages when sailing onboard Queen Mary 2 or Queen Victoria. Cunard passengers will be able to stay in four cities around the world, with new pre-and-post tour packages of three to four days offered in Rome, Hong Kong, Dubai and Cape Town. "For over 178 years, guests have sailed with Cunard to discover different cultures and explore the world," said Josh Leibowitz, senior vice president of Cunard North America, in a news release. "This year we're excited to offer our guests an opportunity to extend their visits in some of our most iconic ports of call." Unlike traditional pre-and-post-cruise tours that have to be added to cruises at an additional cost, Cunard is offering these new packages bundled with select voyages for a single fare that includes the tour, all accommodations and the cruise itself. Highlights of Rome: Available to passengers embarking Queen Victoria in Civitavecchia (Rome) on October 27, 2018, this tour features two nights' accommodations at Starhotels Michelangelo hotel located next to Vatican City. Highlights of the tour include the famous sights of Rome -- Colossseum, Trevi Fountain, Roman Forum, Pantheon, Spanish Steps and Navona Square -- as well as Vatican City and a three-course Italian lunch. Fares for this cruise and tour combo start at $1,799 per person. Discover Hong Kong: In Hong Kong, both pre-and-post-cruise tours are available for passengers arriving aboard Queen Mary 2 on March 5, 2019 or departing that same day. This tour includes three nights at the Royal Garden Hotel in vibrant Kowloon, noted for its amazing views of the skyline and harbor. Tour highlights include a sampan boat ride, a view from the Peak Tram, a visit to Stanley Village and Lantau Island, and a dim sum lunch. Fares for this cruisetour start at $1,569 per person. Dubai and the Omani Peninsula: This three-night tour, which includes a stay at the Mercure Al Barsha Heights Hotel, is available on Queen Mary 2's voyages departing from New York on January 3, 2019 and on January 10, 2019 from Southampton as a post-cruise tour, or as a pre-cruise option on QM2's March 25, 2019 departure from Dubai. Fares start at $3,149 for the cruisetour, which features a panoramic drive, visits to the Dubai Mall (largest mall in the world) and Burj Khalida Tower, as well an abra boat ride and a cruise to the Omani border -- including snorkeling. Wild Cape Town: Take advantage of three days to discover Cape Town prior to embarking Queen Victoria's 16-night voyage on April 12, 2019. Wild Cape Town features three nights' accommodations at the Southern Sun Waterfront Hotel, situated near the Victoria & Alfred Waterfront. It also includes visits to the scenic Cape Peninsula, Table Mountain, Constantia Valley wine region and Boulders Beach to meet an African penguin colony. Fares for this cruisetour begin at $2,549 per person. As of now, only these select voyages are eligible for Cunard's inclusive cruise and tour combinations. Cruisetour packages aren't yet available for passengers booked on Queen Elizabeth.